Iris Apatow is an American actress. Check out this biography to know about her childhood, family, personal life, career, etc. 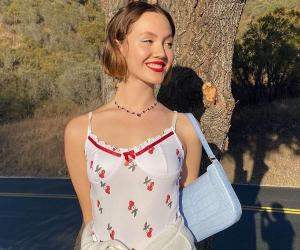 Iris Apatow is an American actress, who belongs to a family of well-known acting talents. She is known for her character, ‘Charlotte,’ in the movies ‘Knocked Up’ and its sequel, ‘This Is 40.’ Born and raised in California, US, she entered the entertainment industry as a child artist. Being the younger daughter of producer-writer-director Judd Apatow (and his wife, actor Leslie Mann), she made her acting debut at the age of 5 through his movie, ‘Knocked Up’ and followed it up with two more movies, ‘Funny People,’ and ‘This Is 40.’ She received accolades for her portrayal of ‘Arya Hopkins’ in the Netflix series ‘Love.’ Iris has also worked as a voice actor and has appeared in the music video, ‘Sonora.’ She is very popular on ‘Instagram,’ and is an animal lover. 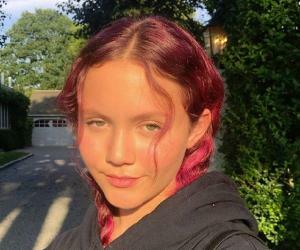 Iris Apatow was born on October 12, 2002, in Los Banos, California, US, to American producer-writer, director, actor and stand-up comedian Judd Apatow and his wife, actor and comedian Leslie Mann. 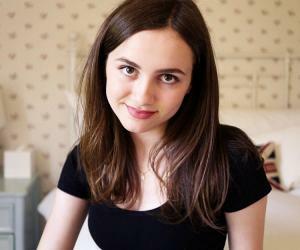 She is the younger of their two daughters and her elder sister, Maude Apatow, is also a TV and film actor. 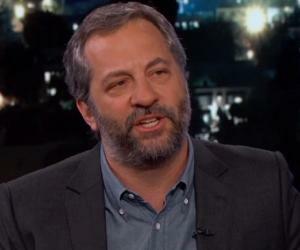 Her father, Judd Apatow, is of Ashkenazi Jewish descent and mother Leslie is of Irish and German descent. Her paternal grandparents are Tamara Apatow (grandmother), and Maury Apatow (grandfather), a real estate developer. In 2012, Iris reprised her role of ‘Charlotte’ in ‘This Is 40,’ which was the sequel of her debut movie. Apart from her mother, Paul Rudd, Jason Segel and Megan Fox starred in this film. Before that, in 2009, she portrayed the role of ‘Ingrid’ in her father’s directorial film, ‘Funny People.’ The comedy movie, which starred famous Hollywood names such as Adam Sandler, Seth Rogen, Leslie Mann and Jonah Hill, proved a blockbuster. Iris has worked in three of her father’s movies, ‘Knocked Up,’ ‘Funny People,’ and ‘This Is 40.’ In all three films she (and her sister Maude) played the roles of the daughters of their real mother’s characters in the film. In 2016, she received her breakthrough role, that of ‘Aria/Arya Hopkins’ in the Netflix series ‘Love.’ The series is created by her father and for the first time, Iris worked in his project without her sister. She has received ample praises for her work in ‘Love’ and her performance is considered as one of the highlights of the series. 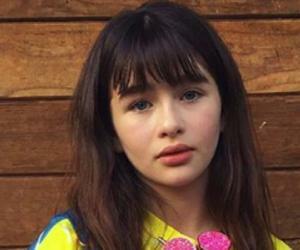 Iris is very active on social platform, ‘Instagram,’ and posts memes, throw-backs, poems by Rupi Kaur and also posts mini videos of make-up tutorials on ‘YouTube.’ She has more than 300K followers on ‘Instagram.’ She resembles her actor mother Leslie Mann. Iris is an animal lover and has a female dog, Cookie.